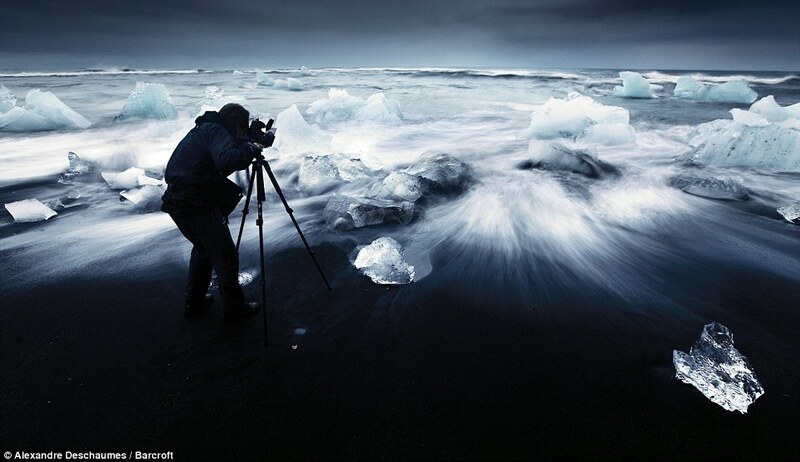 These magical pictures capture the ethereal and otherworldly beauty of the melting of Jokulsarlon - the largest glacial lagoon in Iceland. 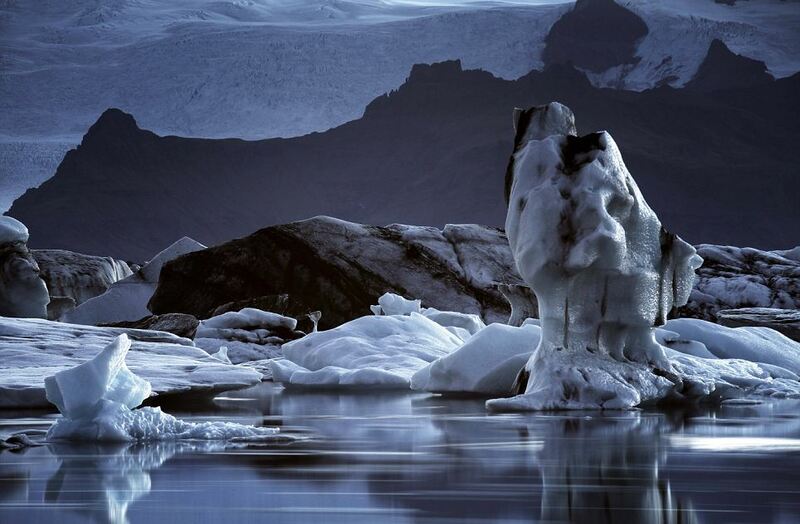 The stunning natural wonder is made up of strange ice formations that change constantly in response to the temperature. Adventurous photographer, Alexandre Deschaumes, 28, from the French Alps is so in love with the lagoon that he has spent three years visiting it during the melting season. 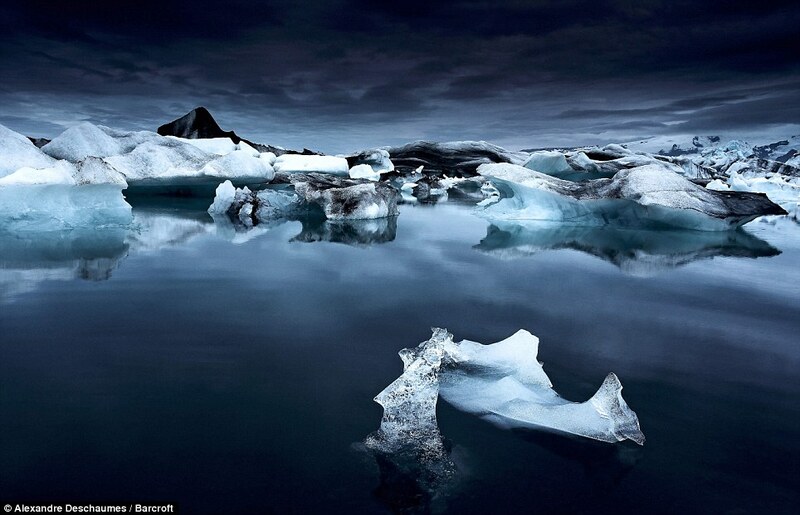 Thanks to global warming the incredibly beautiful nine mile-long fresh water lake of Jokulsarlon has nearly doubled in size - in 1975 it used to be only five miles-long. Mr Deschaumes said: 'My quest was to reveal and show the world that this kind of atmosphere and places exists, and maybe trying to open a 'new door' of imagination and dreams. 'It is important for me that, through my work, people can realise how amazing nature is - that places like this really exist.